Mockingjay is the 3rd and final book in Suzanne Collins' Hunger Games trilogy. This series has easily been the most enjoyable I've read in all of 2011, and definitely one of the best Young Adult series I've ever read. Ever! Having survived 2 rounds of Hunger Games, Katniss Everdeen has seriously angered President Snow and the rest of the Capitol in becoming the "Mockingjay," or the face of the rebellion against the Capitol. As Katniss escapes to District 13, which is literally the underground district that has been kept secret from all other districts, she is again faced with the challenge of learning who she can and cannot trust within the rogue district. After all, District 13 is comprised of individuals who once served the Capitol, among other stragglers from some of the other districts. On top of all this, Katniss is faced with a brainwashed Peeta, whom President Snow has sent to District 13 on a mission to kill Katniss. In this final installment of the Hunger Games trilogy, nearly every conflict from the first 2 novels, The Hunger Games and Catching Fire, comes to a satisfying conclusion - but not completely - happy ending. If you've already read The Hunger Games and Catching Fire, you won't be able to put down Mockingjay. You'll probably be rapt and wide-eyed as you read the novel, and then have an upset stomach upon finishing the novel. After all, not only does Mockingjay fail to give you the best of happy endings, but the epilogue is too short for one's liking and the fact that the trilogy has truly and finally ended hits you like a suckerpunch to the stomach. Suzanne Collins is simply brilliant. The story of Mockingjay is fascinating, original, and not at all predictable for even the most seasoned of readers and plot-psychics like myself. What I liked best about Mockingjay and the rest of the books in the series is that each novel has an enormous emotional impact; in some cases, to the point of tears. This is how I can always tell that a writer has crafted a story that is just superb, perfect, and utterly memorable. In addition to having a huge screening party every time a new Hunger Games movie comes out, I plan on keeping tabs on any future novels released by Suzanne Collins. She has also written the Underland Chronicles featuring Gregor The Overlander and a few other works. Click on the pictures of the books below to review each Suzanne Collins novel in more detail on Amazon.com. 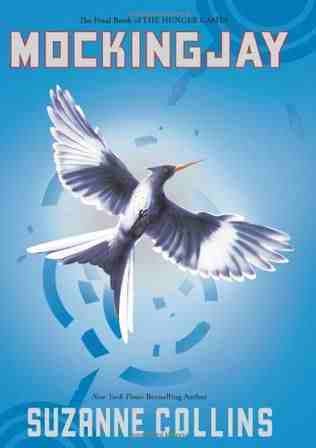 This is a must read for any fans of the hunger games!! !it completes the story and still leaves you wanting more.